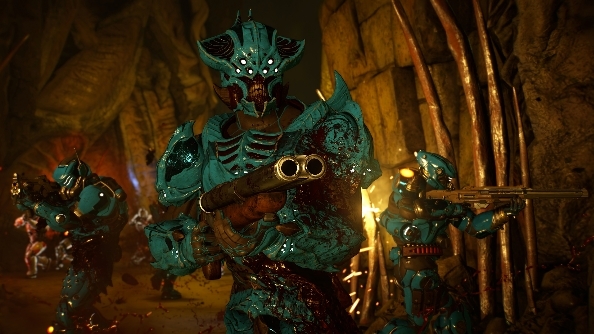 If your weekend consisted mostly of firing multiple high-velocity projectiles into the face of burly space marines, then we have some great news for you: the Doom open beta is staying open for an encore. Another glorious day of bloody murder awaits! Not satisfied by Doom’s new approach? Try one of the best FPS games on PC. Bethesda’s official Twitter account made the announcement, which declared that the beta will now close its bulkhead doors at 11:59pm ET on April 18. If the beta entirely passed you by this weekend, it does mean you’ll have the remainder of the day to give it a shot. It’s been quite a divisive event, with various users not really finding the whole thing Doom-y enough. But perhaps an extra day of play will allow those players more time to adjust to the new style, and maybefind something to love. If you’d like to know what we think, check out our Doom beta impressions FAQ, and then proceed to read Everything We Know about Doom to get all the details on when it’s released and how much RAM it’ll demand of you.